This Sunday marks the first Mini Make Day at the Library at The Dock. The day is set to be a gathering of Melbourne Maker groups all under the one roof. Think of it as a “Show and Tell” but with really cool inventions and creations from people who are passionate about making and bring things to life. 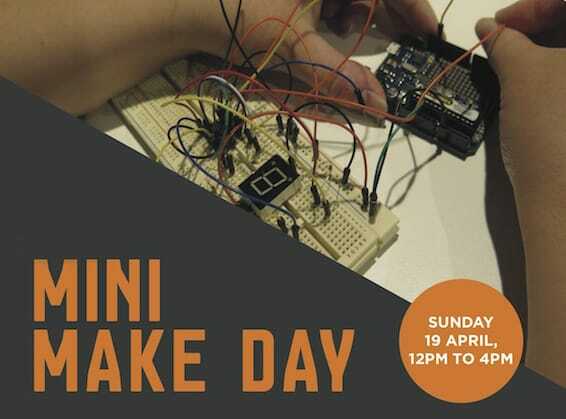 From 3D printing, electronics, woodwork, gaming to costuming, the Mini Make Day will be a great way to answer all those questions you have about making and allow you to meet some of the people who have been doing so. Gil has been instrumental in putting this event together for the Melbourne Library Service so if you have ever wanted to see where he works and what it leads to, this is the event to do so. Tickets are free and can be ordered from Eventbrite here.